This summer Lexi and I wrote a children’s book called The Stephanies. Lexi drew the pictures and we want to publish it. We need your help. It’s great fun. If you’re into children’s books, think more Robert Munsch than Margaret Wise Brown. Tonight we launched a Kickstarter campaign to make the book a reality. Good question. Kickstarter is awesome. It’s a site that allows creators to go straight to their fans to raise support for their projects. Creators come up with a fundraising goal and a deadline. If they can raise the money before the deadline, people pay up and the project goes forward. If the goal isn’t met by the deadline, everybody keeps their money and the project doesn’t happen (You may remember that I tried a failed Kickstarter project back in 2010—we didn’t meet the goal, so all those great backers kept their money). 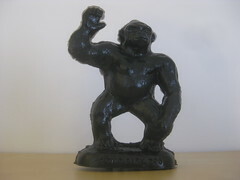 Creators also come up with rewards to encourage people to support their project, like a copy of whatever is created, behind-the-scenes access, limited edition items and more. It’s an exciting development for creators and fans alike. 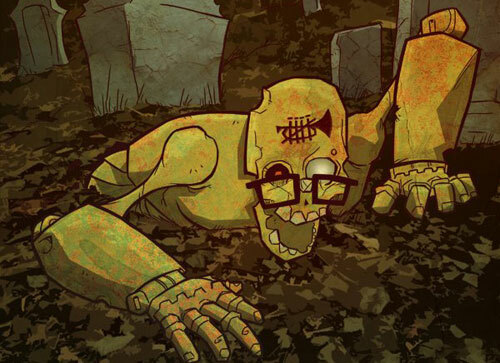 Last year Kickstarter brought one of my favorite bands, Five Iron Frenzy, back from the dead. It allowed indie artist Shaun Groves to fund a new record without a label. It enabled a sequel when a publisher balked. Just last week it funded the new Molly Danger comic book from Jamal Igle. And it’s two-thirds of the way toward funding a new book and album project for Justin McRoberts. And those are just a few of the projects I’ve supported. It’s for plenty of other awesome ideas as well, like smarter consumer electronics (they’ve already raised over half a million dollars! ), an ad-free future for the comic Penny Arcade, and even a space elevator. It’s great fun to become a patron of what you think is cool. So yeah, we’ve launched a Kickstarter campaign to get The Stephanies published. We’re trying to raise a modest $300 by Oct. 3 to help defray the time and effort of publishing the book. We’re going to do three versions—digital, “color your own,” and full-color paperback. Back the project at any amount and you get a copy of the book ($1 for digital, $10 for “color your own,” and $15 for paperback, shipping included). Pony up $25 and you get all three versions, plus Lexi will create some custom artwork for you. We’ve got some higher end rewards for the big spenders, including a cookie package, Lexi’s book of the month club and your very own custom book written by Lexi and I.
Lexi helped me every step of the way on this project, including coming up with the rewards. She didn’t think anyone would pay a lot of money for this project, so we tried to keep all the reward prices as low as possible. By backing the project you’re getting the family discount. This isn’t about making money, it’s about sharing our story. The Stephanies has been a fun summer project for Lexi and I. We’d love to turn it into a real book and share it with the world. We hope you’ll help. The Internet and the power of social media has breathed new life into the corpse of disbanded and broken bands, allowing reunions of the long lost music of your youth. When record company economics made it too difficult for those struggling bands, the Internet has found a way. Of all the recent reunions, none has excited me more than the rise of Five Iron Frenzy. And none has garnered the stories. A ska-driven, nerd-core band of Christians, Five Iron Frenzy haunted the edges of the Christian music scene in the late 1990s and early 2000s, never quite finding full acceptance due to the two extremes of their off-beat humor and honest explorations of faith. But they had a rabid fan base. That fan base proved itself by supporting Five Iron’s return, fully funding their Kickstarter goal of $30,000 in just 55 minutes. The band has since raised nearly $170,000 from more than 2,700 fans to fund their next album and tour. You have until Jan. 21 to support their effort. Plus, you can get a new song, “It Was a Dark and Stormy Night,” for free. In typical Five Iron fashion, it’s all a little weird. The headlining video on Kickstarter—usually a crucial marketing piece that should be well planned and produced—is a nearly 8 minutes of Five Iron lead singer Reese Roper wandering around in the desert pretending to be on a survivor show. It’s not until the final minutes that he actually talks about the reunion. Or there’s the second Kickstarter video from drummer Andy Verdecchio, a much shorter and—if possible—weirder video that tries to spoof pledge videos. (Though from the times I’ve interviewed both Roper and Verdecchio, I wouldn’t expect anything else. One time I was interviewing Verdecchio and two other band members and Verdecchio never said a serious thing in the entire interview.) There’s also the Relevant magazine interview with Roper made it sound like the band got back together because they had nothing better to do. But it’s also Five Iron. Glad to have them back. I’ve talked about clean water a lot, so it should be no surprise that I’m loving Clean Water for Elirose. It’s a children’s book explaining to kids what it’s like to not have clean water that comes out of the tap. 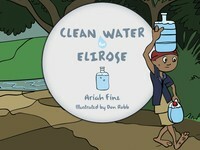 It’s written by a fellow Twin Citizen, Ariah Fine, and the book itself supports clean water. Right now a Kickstarter campaign is wrapping up that has so far raised nearly $4,000 of a $3,500 goal to enable cheaper publishing of the book so it can help more folks. Ariah is not only raising money himself for clean water, but he’s enabling other people to raise money. If you want to support the project, $3 gets you a copy of the book. If that’s not a good enough deal, you can donate $100 and get 50 copies. Perfect for your own water-generating fundraiser. It’s a great little project and you can even read the book online. Check it out and support it. They’ve already hit the goal, but more help is even better. It turns out that I’m crazy. I dove into National Novel Writing Month (NaNoWriMo) for the fourth time this year and it’s not meant to be. I had this grand plan of linking the story to Como Park and publishing the story with lots of help and Como Park goodies for everyone. It’s not going to happen. I stopped writing last Friday, just shy of 20,000 words. My life is crazy right now: Work is both slow and busy (if you’ve ever been self-employed you might understand that predicament). Lexi stopped napping. Milo screamed more (didn’t think that was possible). We have a pre-teen in the family. Evenings have all but disappeared. We launched a book last week. I’m not sure crazy does it justice. When my wife started commenting about how stressed I was, I realized NaNoWriMo wasn’t a good idea this year. It didn’t help when I had to break out my brace to fight wrist over-use syndrome (yes, that’s what a doctor diagnosed it as a few years ago—shut up). The story wasn’t working: I could put up with all of the above if the story were working. But it’s not. My characters feel flat. There is no plot. It feels like I’m trying to force reluctant people on a tour of Como Park, and that’s not what it’s supposed to be. Getting up an hour early every day to work on this just isn’t worth it. NaNoWriMo is supposed to be about slogging through all that, but this year if I’m going to be that stressed I should at least be paying the bills. So I failed. I’m both sorry and grateful to my backers and cheerleaders. But sometimes I think we need to try crazy, ridiculous ideas and fail. I have a lot of crazy ideas, and they wouldn’t be so crazy if they all worked. And it’s not really failure if the idea sits in your head and you never try it—it’s something worse. So as scary as it is and as much as my Midwest work ethic says “Never give up!”, I’m giving up. And it’s not a total loss. I loved writing about Como Park. I loved diving into the history and story of the place. I will come back to that. Some day. A few scenes and moments and ideas in the story did work. There are places that I really like, even if the rest falls apart. And that’s really what NaNoWriMo is about—finding some treasure in the trash. I also learned the ins and outs of Kickstarter. I love the idea behind this site, the way creatives can pitch ideas and people can step up to make them happen. Go find some ideas and support them. Make a record with Shaun Groves. Help a photographer create street galleries in New York. Find a project you like and help it become a reality. And there it is. Thanks.